I have a dear friend, whom I'm so excited to be living close by to again. She's down to earth, creative, and a fabulous hostess. After four beautiful, wonderful daughters, they are having a baby boy join their family next month. I asked her what she needed for her baby or herself, and she suggested a hooter hider. Her husband is SO excited to have a boy, and doesn't want anything pink or purple touching his son...so a more neutral fabric was needed. I had just the thing...some Joel Dewberry Ginseng home decor fabric in twill. I followed Sew Much Ado's Nursing Cover tutorial. Abby suggested using home decor weight fabric. I agree, it gives the cover more stability. Having used a similar apron for Dolly 3 years ago, I had wished mine was a bit more substantial. I did change a few things. The "D" rings I purchased were smaller...1" wide. So, I shrank the straps down to 4" wide, and then folded them like bias tape. This made them a bit bulky, and I had to improvise attaching the ring side of the neck strap. I added two pockets in the bottom corners made of flannel. Just cut a 6 inch square of fabric, fold in half and tuck inside the hem before you sew it. Perfect for tucking in a binky or wiping a bit of drool. I also pulled out my double needle and added a little turquoise stitching at the top. It gave the seam with straps and boning a little stability, and added a little flair. I'm so excited to give it to my friend...and even more happy to finally be able to sew again. I'll share some photos of our temporary home later this week. Isn't this back porch a fun place for photos? Sharing with Sew Much Ado, Tea Rose Home, Someday Crafts, and The Southern Institute. Love your nursing drape... very stylish and very useful! I'm sure your friend will love it! I am so happy for you that you get to be closer to family and friends. Love the hooter hider, what a great idea that was whoever thought of it! I bet getting back to some sewing was rewarding and fun! 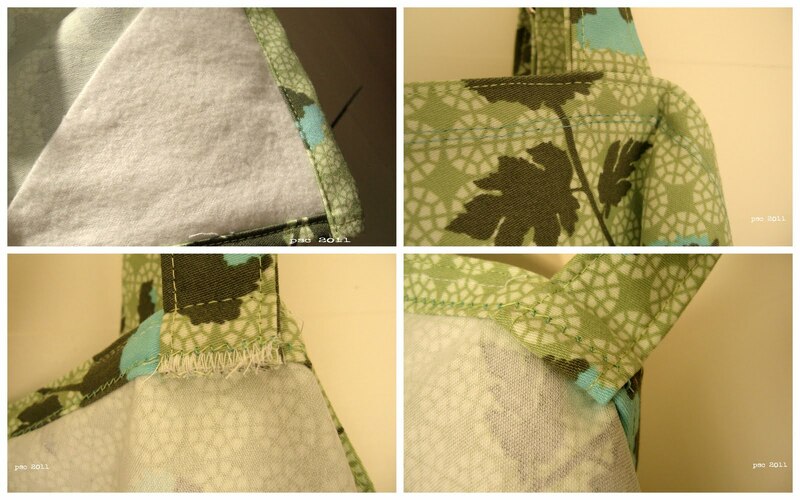 Love the fabric you used ... and the name hooter hider just made me laugh so hard!! I love Joel Dewberry fabric, perfect for mum and baby boy. I think nursing covers are such wonderful and thoughtful gifts. Hoofer hider?? that one is new to this city slicker turned suburban....but beautiful all the same. Ha! I've never heard a nursing cover called a hooter hider... awesome! Great fabric choice, Chris. And you're right, that back porch is a great spot for photos. I hadn't thought of using a more substantial fabric to make these. That's a fabulous idea. Thanks for sharing it. I love the way yours turned out. LOVE that name!! And what a lovely, sweet gift, Chris. I know it sounds utterly sexist but I really have enjoyed dressing my baby boys in blue and baby girls in pink so I can understand where the husband is coming from. Of course, now they're bigger they have more of a mixed wardrobe but in those early days it served as a useful gender-identifier!! love that you were able to make something for your friend. And it is a much more neutral colour than pink too! I don't know if I was supposed to see this here but I LOVE IT!!!!! Thank you so much. You are such a talented and wonderful friend!